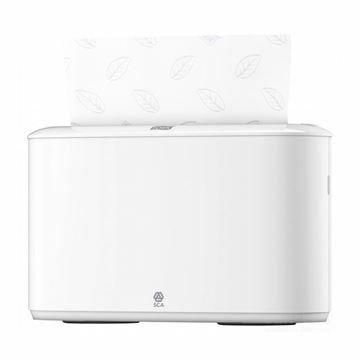 A lockable paper towel dispenser with a plastic, high impact cover. 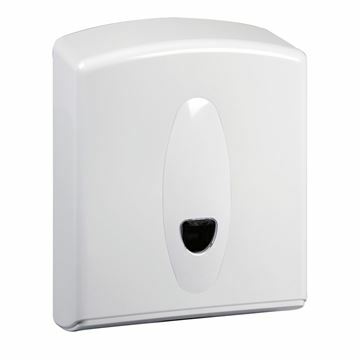 A lockable dispenser with a high impact, white plastic cover. 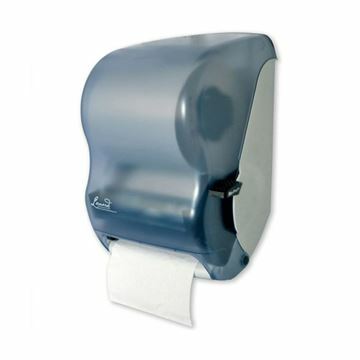 A lockable paper towel dispenser made from high quality stainless steel. Ideal for larger washrooms. Holds centre-fold or multi-fold towels. 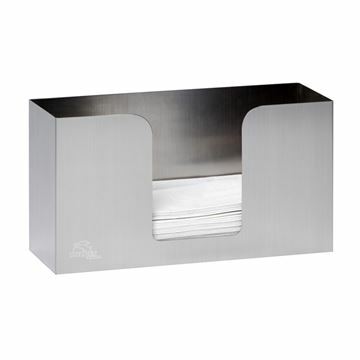 A high quality stainless steel satin finish with welded corners and capacity for 150 hand towels. It is free standing and can be fixed to counter top via screw holes in the base. Lever control hand towel roll dispenser for roll towels. Lever treated with Biopruf to inhibit microbe growth. Holds up to 240m of product. 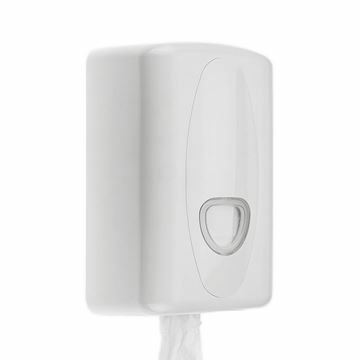 The One Pull Dispenser was developed for the optimum result and can be used with our SmartWipe and ResourceWipe. The Dispenser offers many benefits and helps to control the number of wipes used decreasing waste, its transparent panel not only shows off the colour of the wipe but indicates when a refill is necessary. 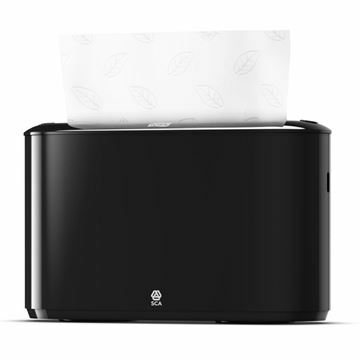 The Dispenser is waterproof to ensure that all wipes are kept dry. 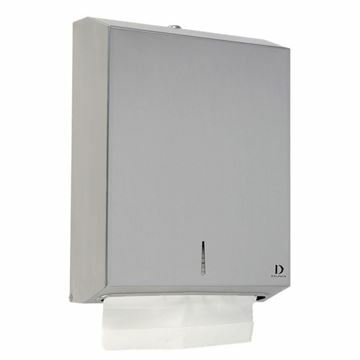 A lockable paper towel dispenser made from high quality stainless steel. Ideal for smaller washrooms. Holds c fold or multi fold towels. 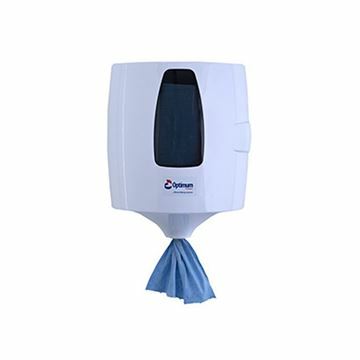 Practical dispenser for medium sized coreless hand drying paper. Made from abs plastic, robust and reliable. 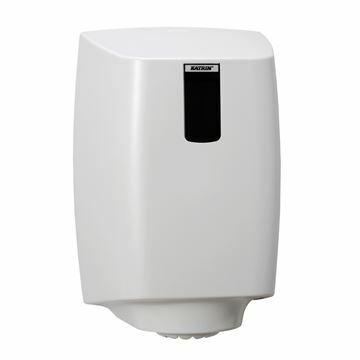 A lockable, high impact white plastic dispenser. The Tork Xpress Countertop Multi-fold Hand Towel Dispenser in Elevation Design serves as a great alternative to providing a stack of loose towels on the washroom counter top. Tork Elevation dispensers have a functional, modern design that makes a lasting impression on your guests.